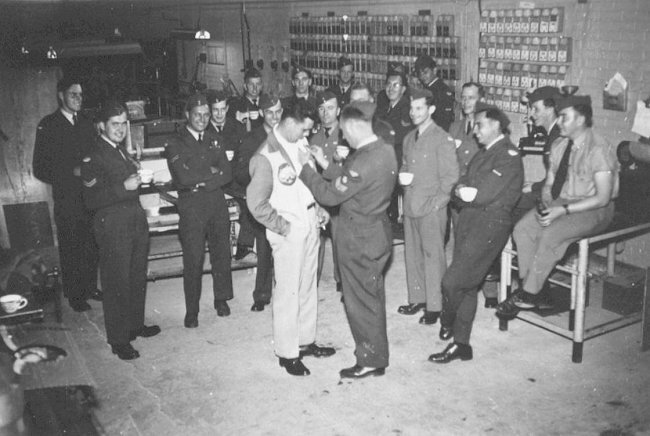 Cpl Claude Bernier receiving the #2 Wing "Mud Star" decoration from FS Clark - September 1955. 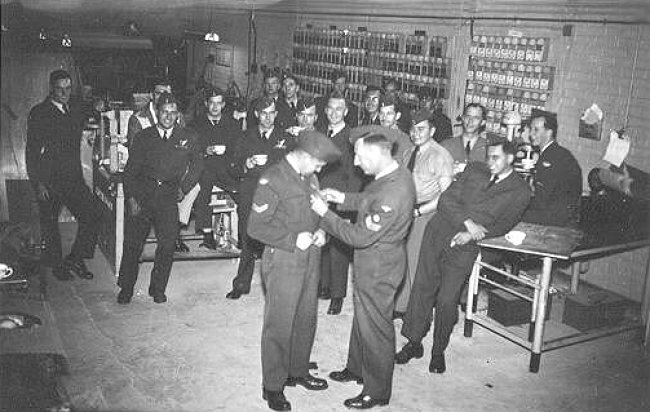 LAC Elder receiving the #2 Wing "Mud Star" decoration from FS Clark - September 1955. 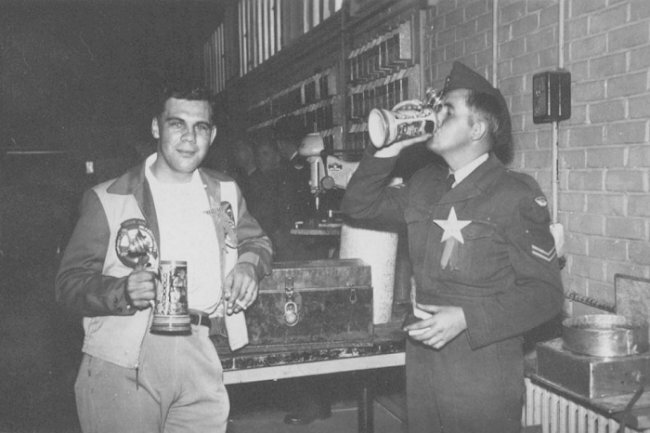 LAC Elder and Cpl Bernier having a drink at the #2 Wing "Mud Star" presentation - September 1955. 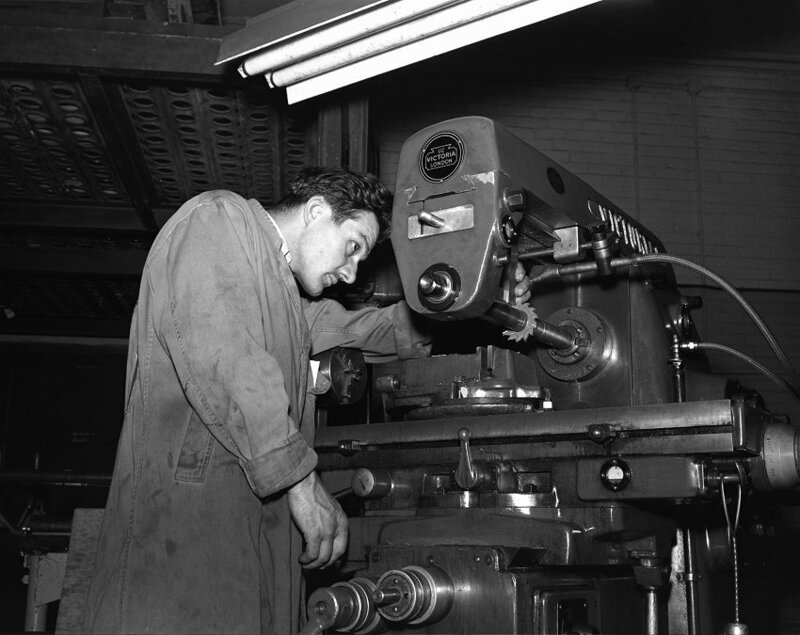 LAC Rancourt using a milling machine at 2 Wing - 4 June 1954. Courtesy Canadian Forces Joint Imagery Centre PL-83540. 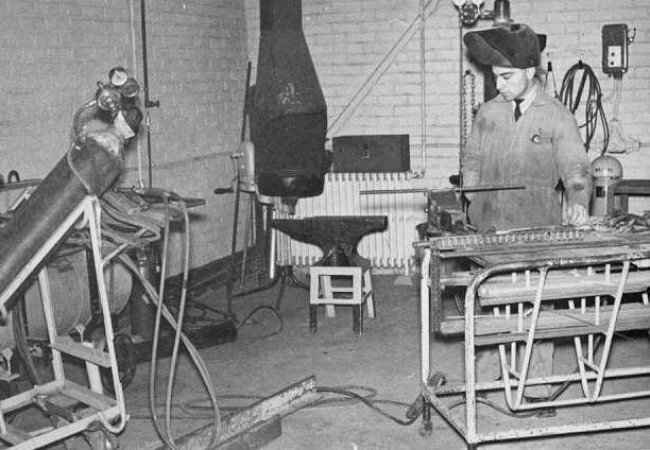 LAC Martel working in the Welding Shop - May 1954. 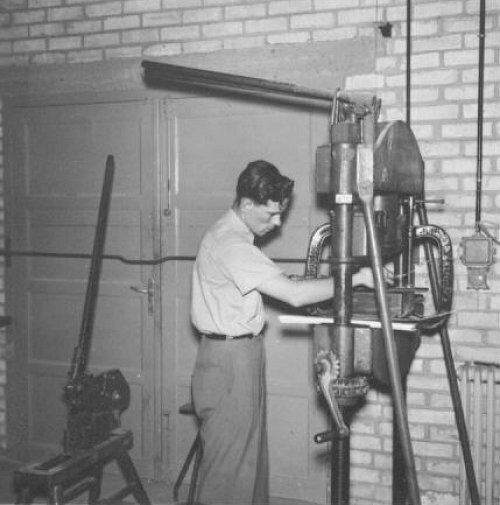 LAC Guillemette working with the Hydraulic Press - March 1953.